 Bright ideas AND rocket science! The 2018 NPL Water Rocket Challenge sounded too good to resist – water and rockets eh… what’s not to like? This was definitely something for the Yellowdot studio team. For a business that sells itself on ‘Bright ideas NOT rocket science’, this was certainly a journey into the unknown. Would the designers be able to switch off the creative side of their brains and test the other (as yet unused) half? Well, after sorting some very fetching yellow lab coats and yellow safety glasses, the thinking was that we may not be the best, but we’ll at least look the part. Fashioned with some nifty rocket graphics, the team of Caroline, Kevin, Jeremy and John got to work in the rocket assembly tent. Having completed this task in a remarkedly co-ordinated team-like fashion, the event moved across to the launching pens. With three rockets built (Y1, Y2 and Y3 – obviously) Y1 was selected for the main scoring flights, Y2 for the testing and adjustments, and Y3 saved for the grand finale event – carrying the payload of a single egg to the edge of space. When the final scores were revealed, the team had captured a very respectable third place finish. Added to that, Y3 successfully flew 60m and landed without damaging the on-board egg. The ingenious packing clearly fulfilling its objective. 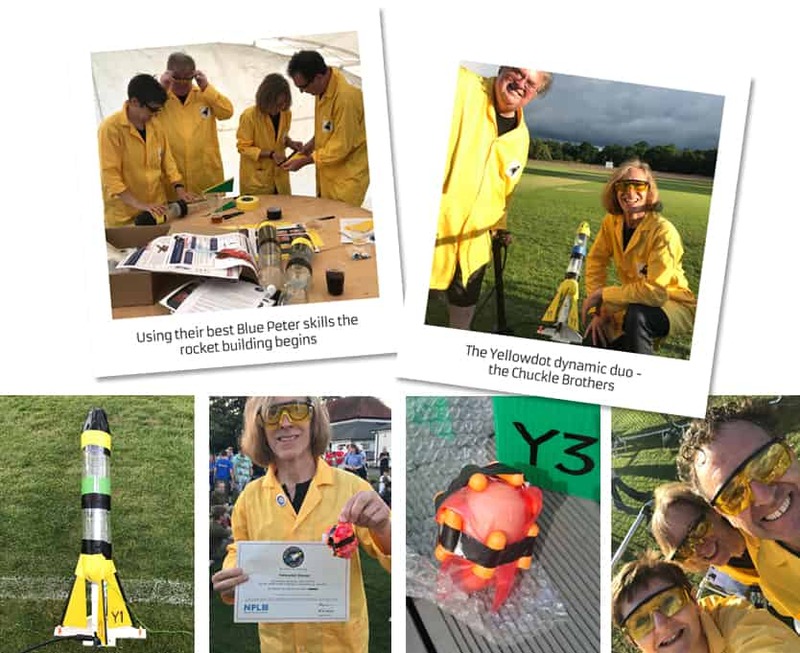 http://www.yellowdot.co.uk/wp-content/uploads/2018/06/water-rocket-challenge.jpg 322 832 Yellowdot http://www.yellowdot.co.uk/wp-content/uploads/2016/08/yellowdot-logo.png Yellowdot2018-06-21 15:51:042018-06-21 15:55:56Bright ideas AND rocket science!